Come along to the next Living Green Vegan Markets on Sun 7 April in Canberra! Market, food and community stalls plus live entertainment. Plant-based food from around the globe plus drinks and sweets, ethical and cruelty-free products and services, and not-for-profit stalls promoting social justice issues. Dogs on leads welcome to the grounds around the Hall. Ride your bike, catch a bus or if you have to drive, park across Commonwealth Avenue and take the underpass to the Hall. Share a kinder shade of green for the planet, humans and other animals. www.lgf.org.au – Register as a volunteer! 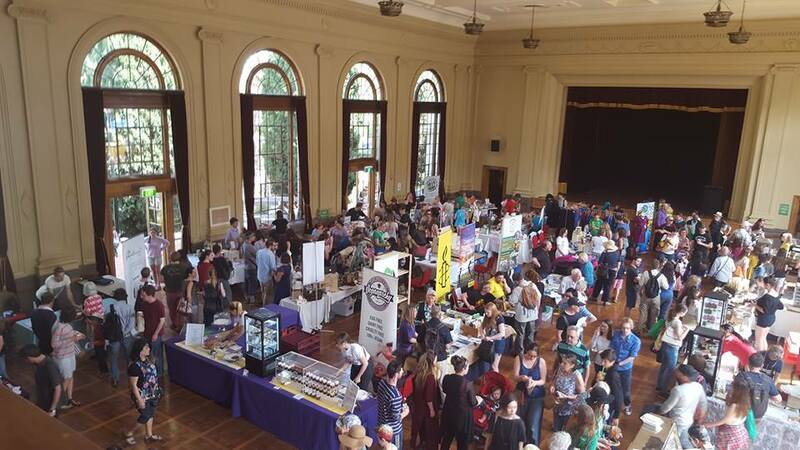 The Living Green Vegan Market returns for a third time on Sunday 7 April 2019 at the beautiful Albert Hall in Yarralumla from 10am to 3pm. Entry is FREE. The Living Green Vegan Market features local and interstate businesses selling 100% plant-based food and a range of products containing no animal ingredients and that do not test on animals.